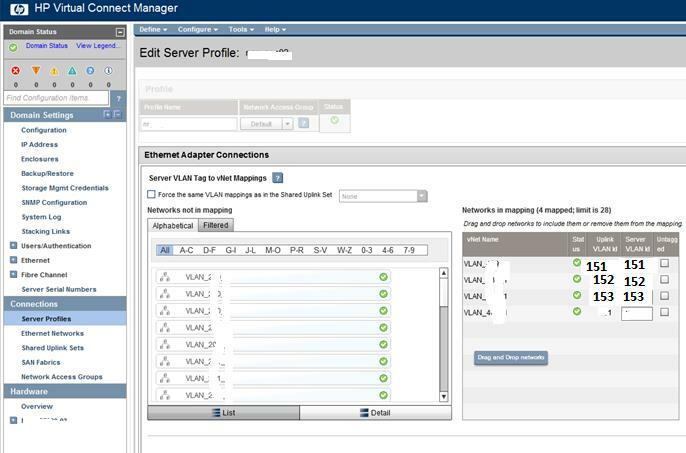 This article explains the steps to configure Private VLANs in combination of Cisco uplink switches, HP Virtual connect Flexfabric (VC FF) and VMware distributed switch. Just an overview of various PVLAN types as per VMware documentation is as follows. 3 After creating or editing the SUS, create Server Profile and present VLAN 150, 151, 152 and any other VLANs to the blade network port as per your design. In my case, I have presented PVLANs to port #3 and #4 as multiple networks (With VLAN150, 151 and 152) as per following screenshots. 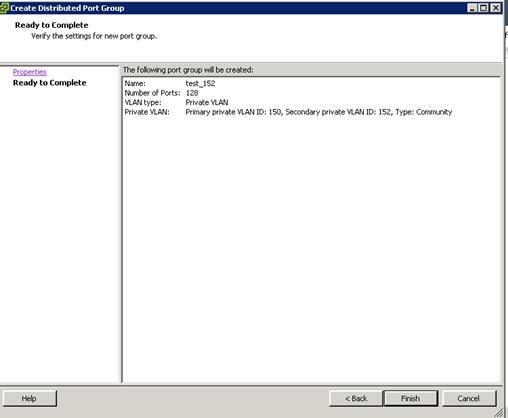 10 Then type the name of the port group name, number of ports and VLAN type. 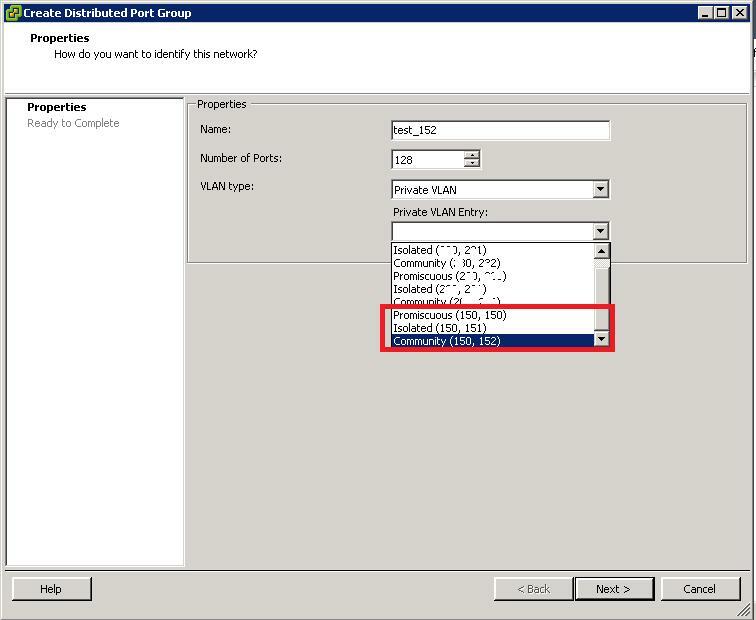 11 As soon as you select VLAN type as “Private VLAN”, you will be able to see PVLANS you have configured on dVswitch at above steps. Select one of the PVLANs (Promiscuous or isolated or Community) as per your design and click next to proceed to the next step. 12 Then click finish to complete the PVLAN port group creation at Distributed vSwitch level. 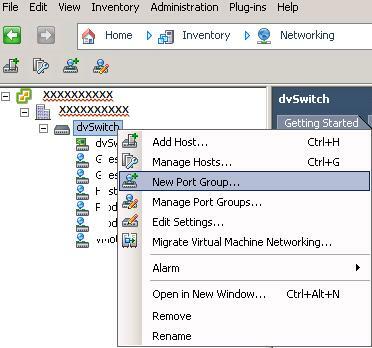 14 After creating PVLAN port groups, you should be able to see new port groups in the list of port groups under dVswitch. 16 With this, you are finished configuring PVLANs at dvswitch level. 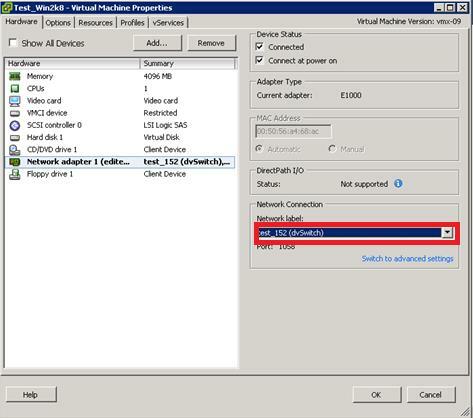 With this you are finished configuring PVLANs at HP Virtual Connect and VMware dVswitch. 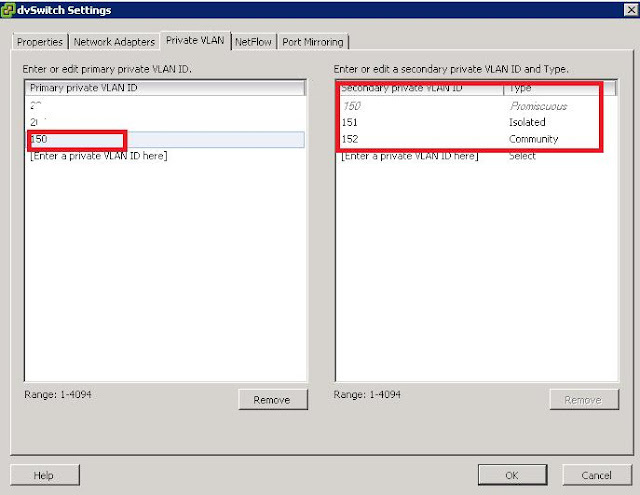 · HP virtual connect is not aware of Cisco PVLANs, you just need to configure them as normal VLANs while creating Shared Uplink Sets or vNets. 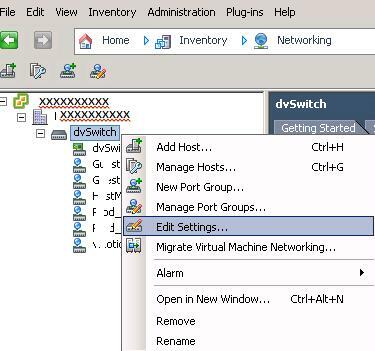 · Actual configuration of PVLANs is performed at dVswitch. This seems to work fine in an all VMware enclosure, but what about if you have a mix of VMware hosts, and a few blades running a full OS (such as RHEL) in the enclosure? 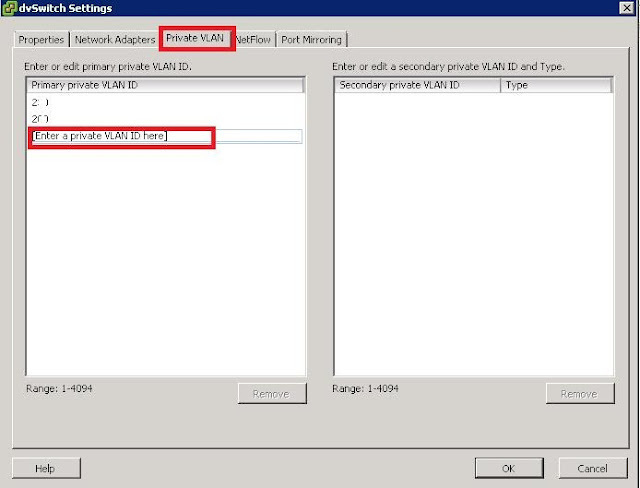 Virtual Connect seems to hijack the isolated VLAN and still allow it between the other blade servers since VC knows nothing about the PVLAN configuration. This is our situation. I'm going to try to set up the SUS in tunnel mode and see if that works. According to the VC documentation, VC prevents hair-pinning, so this may not work as desired either. 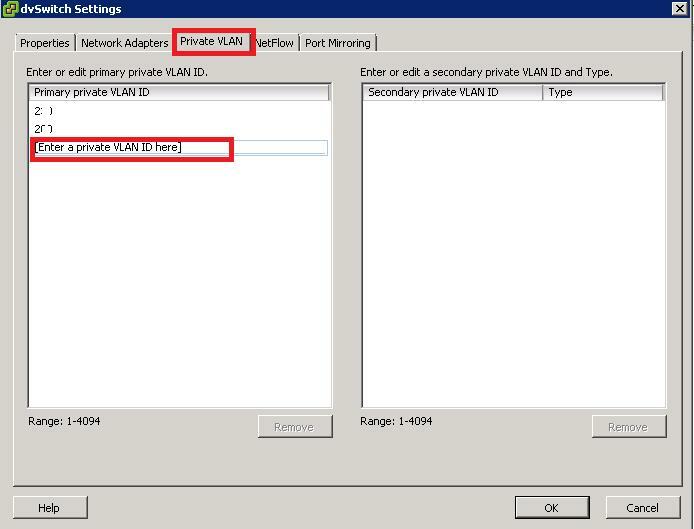 PVLANs are tricky when you are running a mix of VMware, Hyper-V, and non-hypervisor OSs all running in the same enclosure, and all of them need to respect the PVLAN isolation!